Celtic Myth in Contemporary Children’s Fantasy in the 2018 Mythopoeic Awards Finalists! 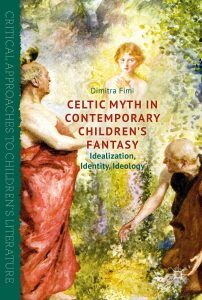 I have just found out that my latest monograph, Celtic Myth in Contemporary Children’s Fantasy (Palgrave Macmillan, 2017), has been shortlisted for the Mythopoeic Scholarship Award in Myth and Fantasy Studies! The Mythopoeic Fantasy Award for Adult Literature is given to the fantasy novel, multi-volume novel, or single-author story collection for adults published during the previous year that best exemplifies “the spirit of the Inklings”. The Mythopoeic Fantasy Award for Children’s Literature honors books for beginning readers to age thirteen, in the tradition of The Hobbit or The Chronicles of Narnia. The Mythopoeic Scholarship Award in Inklings Studies is given to books on J.R.R. Tolkien, C.S. Lewis, and/or Charles Williams that make significant contributions to Inklings scholarship. The Mythopoeic Scholarship Award in Myth and Fantasy Studies is given to scholarly books on other specific authors in the Inklings tradition, or to more general works on the genres of myth and fantasy. My first monograph, Tolkien, Race and Cultural History: From Fairies to Hobbits (Palgrave Macmillan, 2008) received the Mythopoeic Scholarship Award in Inklings Studies in 2010 and it’s a great honour to be shortlisted again, this time for the Myth and Fantasy Studies category. I am in really excellent company, alongside books by colleagues Farah Mendlesohn and Mark J.P. Wolf. 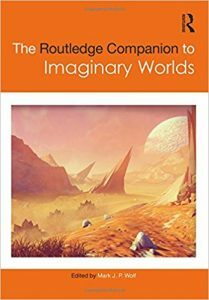 I actually contributed two entries in Wolf’s edited collection in this shortlist: one on Tolkien’s Arda, and one (co-authored with Andrew Higgins) on Invented Languages.